Directed by James Plumb, this post-apocalyptic, sci-fi, horror film is a whole new take on the original classic, set in 2012, where the deceased have risen from their graves once again with the instinct to feed on the living. As academics speculate on the scientific cause of this phenomenon, theologians point to the Armageddon foretold in the Book of Revelation. As the cities are taken over and civilization crumbles, a family takes refuge from the undead army in an isolated farmhouse in West Wales. When the sun goes down, the terror begins as Night of the Living Dead: Resurrection arrives on DVD, Digital Download and Video on Demand April 30 from Lionsgate Home Entertainment. Directed by James Plumb (Silent Night, Bloody Night: The Homecoming), this post-apocalyptic, sci-fi, horror film is a whole new take on the original classic, Night of the Living Dead. The DVD, including a cast and crew commentary,will be available for the suggested price of $26.98. 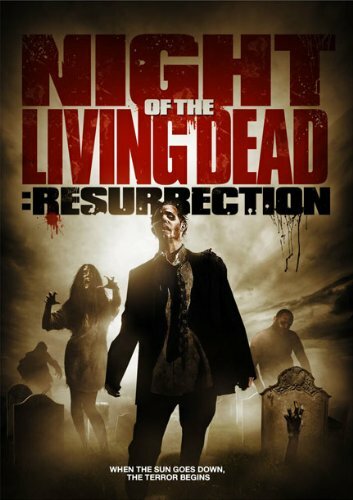 Based on the classic original film, Night of the Living Dead: Resurrection is set in 2012, where the deceased have risen from their graves once again with the instinct to feed on the living. As academics speculate on the scientific cause of this phenomenon, theologians point to the Armageddon foretold in the Book of Revelation. As the cities are taken over and civilization crumbles, a family takes refuge from the undead army in an isolated farmhouse in West Wales. But the greatest threat is already among them as they fight to stay alive. Title Copyright: (c) 2011Night of the Living Dead Limited. All Rights Reserved.